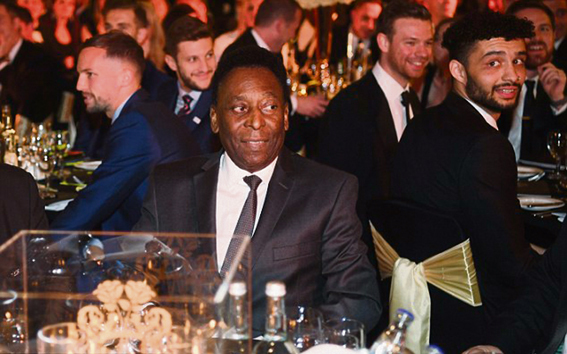 Football legend Pelé will tour UK in June to engage in a series of events reflecting his greatest achievements. The 'Evening with Pelé' events will be held in London on June 1st at the Battersea Evolution and in Manchester on June 4th at the Palace Hotel, with Football for Peace Global as the charity partner for the tour that is being held in partnership with Simply Prestige and Human Appeal. Talking about the tour, the Brazilian said, "The vital work being carried out by Football for Peace reminds us that football and sport are not about petty rivalries, but about bringing people together to celebrate both our differences and shared humanity." Co-founder of the charity, Kashif Siddiqi will also speak alongside the footballer at events, talk about overcoming adversity, and promote their '10 Cities, 100 Schools' campaign. Siddiqi said, "Having the opportunity to speak on the same stage as Pelé, one of football’s true greats, is an honour and pleasure, and testament to the power of the beautiful game to bring people, from different background and corners of the world, together. As someone who shares our core values of integration, equality and diversity, his support is integral in realising our ambition to launch our ‘City for Peace’ progamme at a national level through the ’10 Cities, 100 Schools’ campaign later this year."